I went with Niko, my first son to the shop to get some ice cream and milk, on the way back we saw some cute lady bugs on a couple of leaves and I just had to take a picture of it. 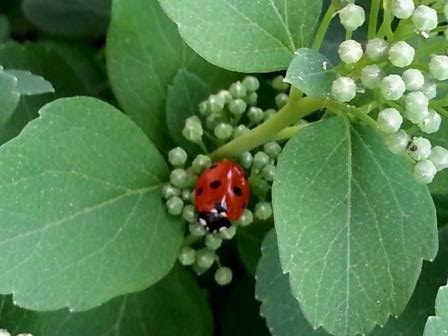 i love lady bugs since i was a small girl. They're supposed to be lucky!